Sheltered sunny position or under cover. Weekly liquid feed once the plant is a reasonable size. Basil, Oregano, Carrot, Tomato and Marjoram. Sow in pots under cover in early spring. Transfer to bigger pots as required. If planting out then do so from mid spring when soil has warmed. Sometimes require supports if the peppers are large. 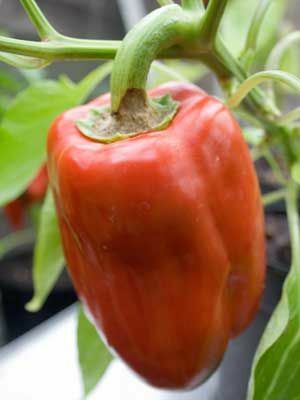 Harvest peppers green when they have grown to a good size or wait for them to ripen to yellow or red if preferred.